Having just moved to a new house I am overwhelmed by the number of jobs that need doing in my new home, which could best be described as a project. It is, or will be, a fantastic space when it is finished but for now it is proving to be a bit of a challenge. And because there are some repairs that simply can’t wait: collapsing roof and damp repairs chief among them, my plans for a sleek new dream kitchen will have to wait for a couple of years, maybe longer depending on what the roofers find when then strip back the collapsing area of roof. I’m hoping it will simply be a failed truss but dry rot is a distinct possibility. So my sleek new kitchen is on hold and I will have to live with the existing one but what I am hoping to do is revamp it so that it looks more retro than just old-fashioned. When I lifted the existing vinyl floor during my first week in the house I thought I had struck gold. There were black and white Art Deco style tiles which could be originals as the house was built around that period. Sadly as I pulled back more and more of the vinyl I could see why the tiles had been covered up. Many we’re cracked and a whole section of the tiled floor had been replaced by a section of hardboard. So I hadn’t struck gold after all but what I did see was that the black and white floor tiles created a really retro feel with the old oak cupboards. I now plan to buy some inexpensive black and white floor tiles and install a new floor as a temporary (but possibly quite long term) solution to the extremely dated kitchen in order to create a retro feel. I might even paint the oak cupboards – I’m thinking pale grey-green – they are not in good enough condition to warrant saving them so I do not feel I need to preserve the natural wood look. 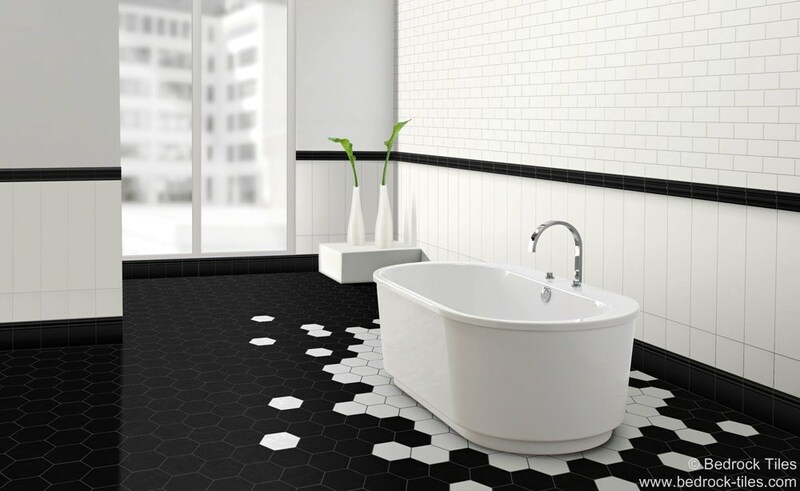 Hopefully on my small budget I will be able to create a better kitchen with a fresh, clean and much more hygienic tiled floor using black and white ceramic tiles. 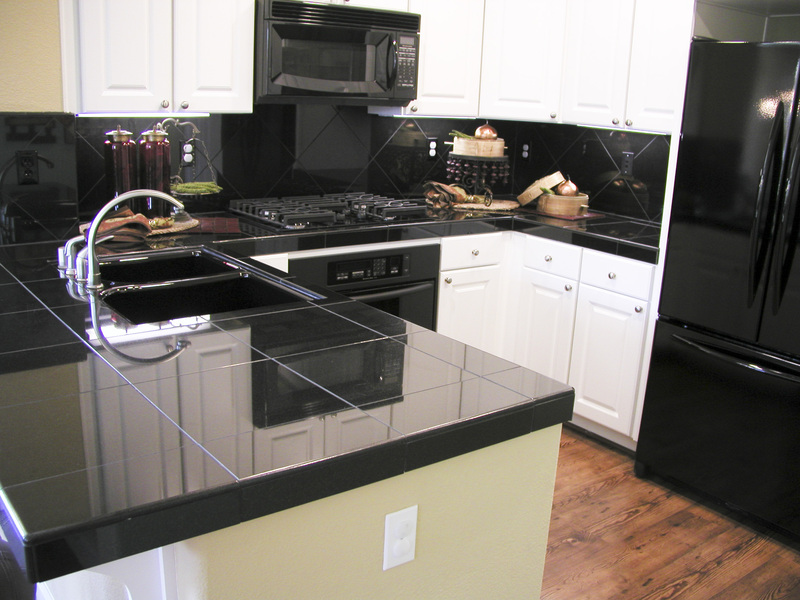 This will last until I can get the whole kitchen replaced and get the look I really want – sleek white units with a black granite work top and extra-large white porcelain floor tiles. Do I Need A Flexible Tile Adhesive?